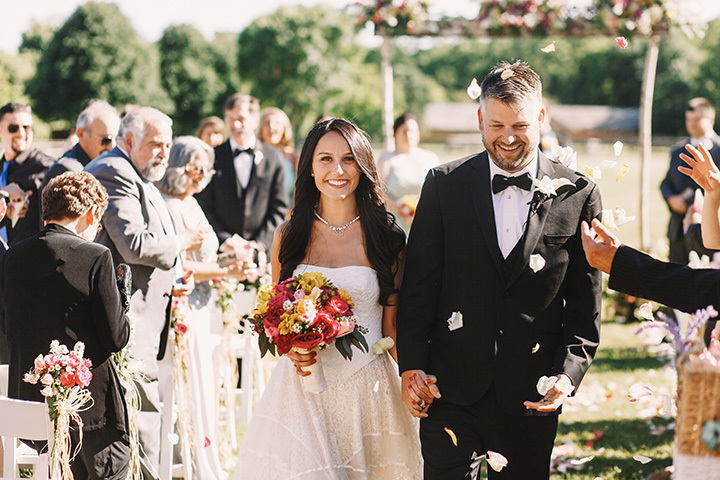 Oklahoma’s whimsical wedding locations offer gorgeous architecture, stunning landscapes, and endless amenities. If you’re looking for a special place to get married, check out these 10 great wedding locations in the state. The Oklahoma State Capitol is one of the most beautiful buildings in the state. Almost every floor has a location suitable for a wedding, depending on the number of guests you’re expecting. Guests can enjoy the art collection before and after the ceremony. Tres Suenos is gaining notoriety for its wines and weddings. A second venue was added to meet demand at the winery. At the north venue, the ceremony area is under the oak trees. At the south venue, you’ll have a pine tree canopy. A sunset wedding would be beautiful at this site. If you love nature, the botanical garden is the place to hold your ceremony. You can use the band shell, the seasonal plaza or Meinders Garden Terrace, then have the reception at the events center on site. Choose an evening ceremony to enjoy the nighttime glow of the conservatory. This 1920s-style mansion was once a private home, but today it is open for events and weddings. The grand staircase is a great way for the bride to make an entrance. The second-floor landing has a series of stained-glass windows, perfect for picture-taking. With over 500 acres of private land, you’ll find the perfect location for your ceremony. The equestrian barn has been renovated to include all the modern amenities while keeping its rustic-elegant charm. Welcome to The Stables at Washita Farms, a family-owned and managed event venue in southern Oklahoma. Visit our website (link in bio) for more info! Now booking! This venue is located right next to Skiatook Lake and forest of trees. It’s the perfect setting for a ceremony, pictures and a reception. They have a wooden pavilion for an outside ceremony and a spacious indoor hall for a wonderful banquet and dance. Quartz Mountain Resort is located in the Wichita Mountains, about 2.5 hours from Oklahoma City. It has a rustic, yet elegant style with modern amenities. The Grand Courtyard and Great Plains Amphitheater are stunning locations for your ceremony, with the mountains and Oklahoma Sky as the backdrop to your pictures. Dominion House was built in the 1920s as a Masonic Children’s Home, but closed in 1978 when the laws changed. In the early 2000s, it was renovated as a wedding venue. The Grand Ballroom has 15-foot ceilings, crystal chandeliers and velvet draperies. The garden has a waterfall, beautiful landscaping and cobblestone paths and can hold up to 350 guests. There is an indoor chapel with beautiful picturesque windows, French doors and a wood stage with detailed work. The soaring wood arches and glass walls in this chapel are simple, yet elegant. It feels almost like a garden wedding, because everywhere you look, you’ll see the greenery of the outside. The best part, you won’t have weather concerns. For a fairytale wedding in a historical location, choose the Skirvin Hotel. It has many different options, from the Grand Ballroom to the smaller, quaint Continental room. The hotel has hosted many weddings in its 100-year history and knows how to bring all the elements together for the perfect day.